In January 2012 Karlis Danevics has joined Finance Latvia Association as head of Association Lending Committee. Since August 2015 Karlis is co-chair of Lending Committee. Karlis Danevics joined SEB group in 2003 and currently serves as a board member and Chief Credits and Risk Officer. 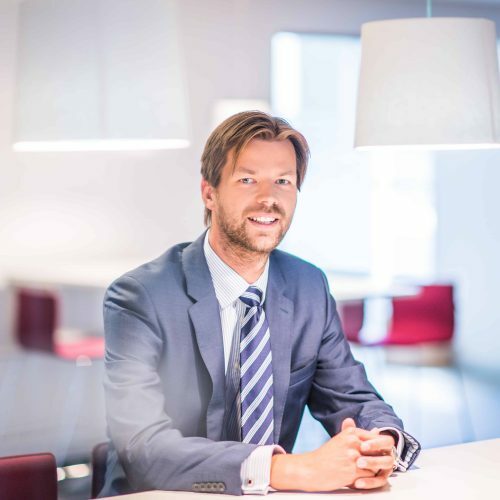 Karlis is a part of bank’s management team since 2014 and until 2017 he worked as Chief Financial Officer. Previously Karlis has acquired considerable experience as Head of Industry and Corporate Analysis Department, Head of Credits Department and Head of Corporate Client Coverage. He holds an MBA degree from Riga Business School and has also graduated from BA School of Business and Finance. Karlis has improved his leadership skills in top management development programme at Wallenberg Institute, Sweden.